In this episode of Sipping Off The Cuff, Tequila Aficionado’s Alexander Perez and Mike Morales introduce our first official Mezcal tasting (look for Sotols coming soon too) of 2014 with El Silencio Mezcal. This promises to be a year filled with delicious mezcals and we are pleased to kick it off with Brand of Promise Nominee El Silencio. 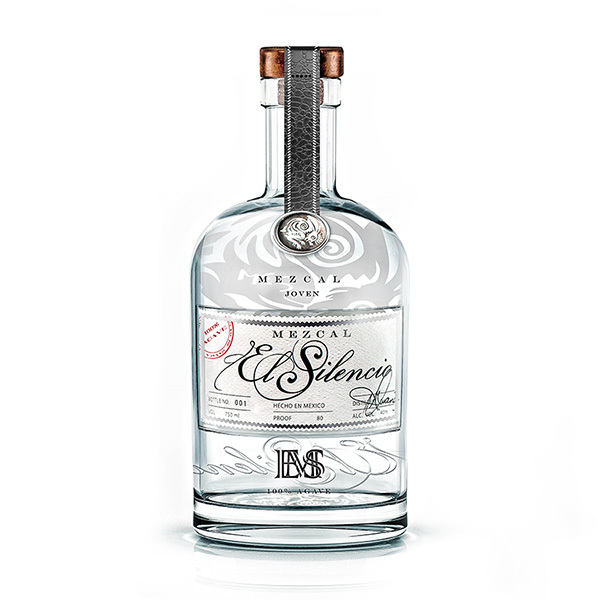 Mezcal El Silencio is a premium “joven” 100% Agave blend or “ensemble”. Using only the finest and carefully selected 10-12 year old Agave, it is handmade in small batches to be smooth, elegant, and delightfully complex. Our joven “silver” Mezcal combines the aroma of sundried vegetables, leather, dried fruit, and sweet smoke, becoming the first choice of both connoisseurs and social drinkers alike. El Silencio is a sipping Mezcal, yet mixes flawlessly into hand crafted cocktails. Each bottle is individually labeled, numbered, and signed by our Master Mezcalier. Look for many more Mezcals coming in the 2nd half of 2014 at Tequila Aficionado Media! Mezcal, or mescal, is a distilled alcoholic beverage made from the maguey plant (a form of agave, Agave americana) native to Mexico. The word mezcal comes from Nahuatl mexcalli and ixcalli which means “oven-cooked agave”. The maguey grows in many parts of Mexico, though most mezcal is made in Oaxaca. There is a saying attributed to Oaxaca regarding the drink: “para todo mal, mezcal, y para todo bien también” (“for everything bad, mezcal; for everything good, the same”). It is unclear whether distilled drinks were produced in Mexico before the Spanish Conquest. The Spaniards were introduced to native fermented drinks such as pulque, also made from the maguey plant. Soon the conquistadors began experimenting with the maguey plant to find a way to make a distillable fermented mash. The result was mezcal. Today, mezcal is still made from the heart of the maguey plant, called the “piña”, much the same way it was 200 years ago, in most places. In Mexico, mezcal is generally consumed straight and has a strong smoky flavor. Though mezcal is not as popular as tequila (a mezcal made specifically from the blue agave in select regions of the country), Mexico does export the product, mostly to Japan and the United States, and exports are growing. Tequila is a mezcal made specifically from the blue agave in select regions of Mexico.